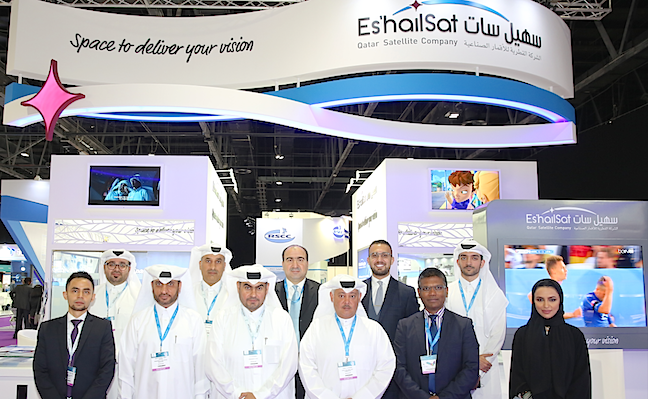 Es’hailSat, the Qatar Satellite Company, is bringing new solutions to CABSAT 2017 at Stand C8-10 Hall 8 where they will be revealing end-to-end solutions for 4K UHD transmission via Es’hailsat satellite. They are also pleased to be planning the launch in 2018 of Es’hail-2 which will provide new capacity for MENA. Es’hailSat is the leading platform for the broadcast, content delivery, digital media and satellite sectors across the Middle East, Africa and South Asia. Besides showcasing live transmissions of 4K UHD channel via Es’hailSat satellite using the latest technologies such as HEVC encoding and DVB-S2X modulation, the 4K UHD service offers customers a complete end-to-end solution from playout to HEVC encoding to content transfer via public Internet to Es’hailSat teleport for uplink using the latest modulation scheme of DVB-S2X giving customers cost effective and bandwidth efficient solutions. In addition to providing 4K UHD services for established news and sports channels, Es’hailSat also supports a growing number of new Arabic channels to launch HD and SD services in the MENA region. Al Rafidain and Al Raed recently launched their channels exclusively on Es’hailSat’s broadcast hotspot to reach customers across the region. Es’hail-2, a new high-performance satellite with sophisticated anti-jamming capabilities is scheduled for launch in 2018 and will be positioned at the 26 degrees East hotspot position for TV broadcasting, adding to the company’s ability to provide quality, premium DTH television content across the Middle East and North Africa. With a commitment to providing broadcasters with secure and independent satellite transmission, Es’hailSat has commissioned its own teleport, which will provide satellite TT&C and capacity management together with a wide range of teleport services such as uplink, downlink, contribution, multiplexing, encoding, playout and broadcasting.